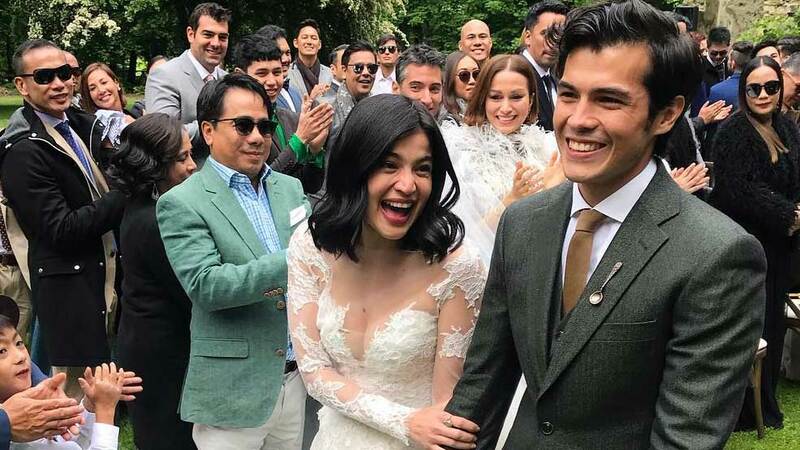 Anne Curtis and Erwan Heussaff Are Married! Actress Anne Curtis, 32, and entrepreneur Erwan Heussaff, 30, tied the knot on November 12, 2017, at Thurbly Domain in Queenstown, New Zealand. On the other hand, Tim Yap posted a picture of the newlyweds and captioned it with a line from Anne's vow to her husband. According to Raymond Santiago, the glowing bride's hairstylist, Anne wore a custom Monique Lhuillier gown. Tim Yap reveals that Erwan donned a suit by Mario de Luca, his trusted tailor in Paris. The couple, who have always tried to keep their relationship as private as possible, were surrounded only by their family and close friends. Anne and Erwan announced their engagement on December 18, 2016. They started dating sometime in 2010. Congratulations, Erwan! And best wishes, Anne!